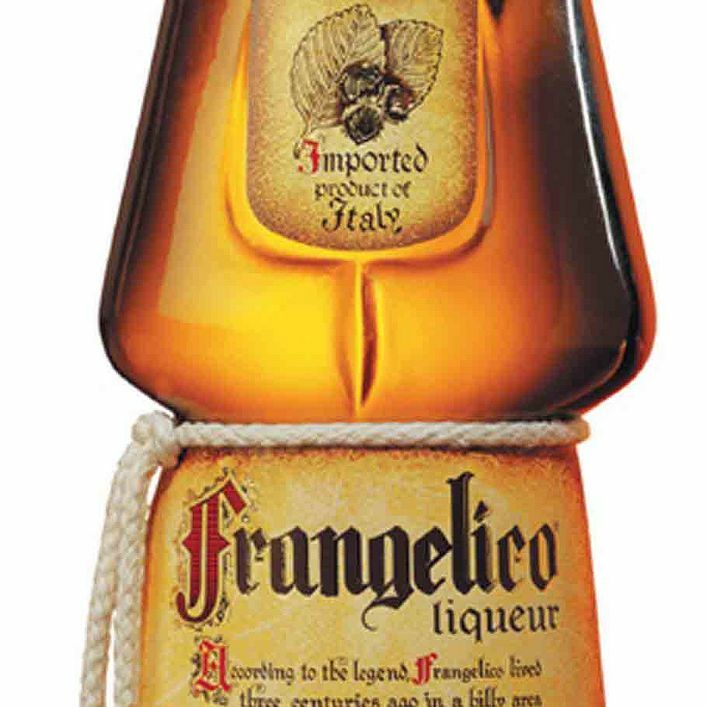 Frangelico, a brand of hazelnut-and-herb liqueur produced in Italy, has a mellow but decidedly nutty flavor. When mixed into coffee, the flavors of hazelnut and vanilla come forward. Amaretto is another nutty liqueur that goes very nicely with a cup of hot coffee. It originated in Saronno, Italy, and a popular brand is Disaronno. Mix it into a somewhat weak serving of coffee as the almond flavor is subtle and may get lost if your coffee is too strong. Since Kahlúa, a liqueur that was created in Mexico, already tastes like coffee, the added flavor isn't all that potent. But it does add a touch of sweetness and an extra bit of roasted quality to your coffee. It can also give a nice coffee flavor to other drinks, like hot chocolate. The flavor here is most definitely orange, which isn't surprising given that Grand Marnier is a bitter-orange-and-Cognac-based liqueur from France. You can turn a plain cup of coffee into an after-dinner treat with a shot of Grand Marnier and a sprinkling of orange zest. 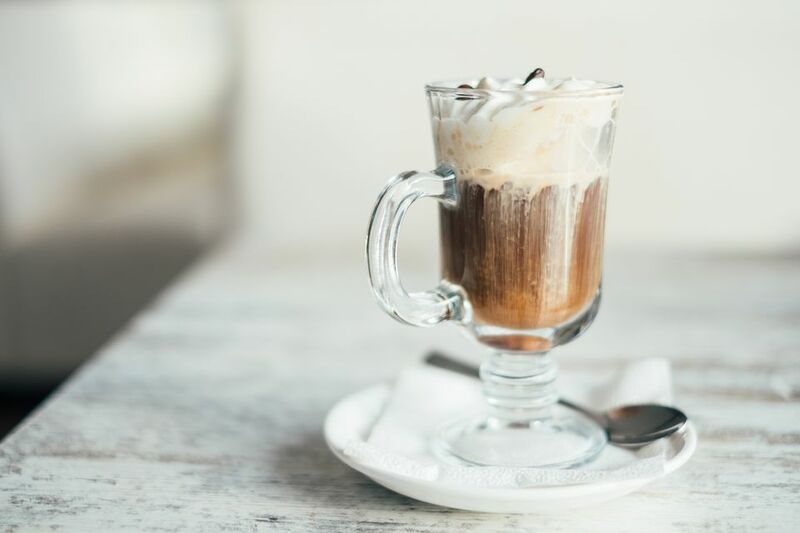 Irish cream and coffee is a classic drink. The creamy texture of Irish cream liqueur blends well with java and contributes the smooth taste of Irish whiskey. The most popular brand is Baileys, and, like Kahlúa, it also makes a fine companion for hot chocolate. All you need to transform your coffee into mocha is coffee's amazing partner chocolate. Try adding a chocolate-flavored spirit such as Tempus Fugit Crème de Cacao or Godiva Dark Chocolate Liqueur to your mug. This one may not be to everyone's taste, but you might enjoy the sweet allure of butterscotch in your coffee. This flavor of schnapps can also add zip to a cup of hot cocoa. The complex and rich flavors of bourbon are a natural pairing with coffee. Add a shot for a boozy breakfast treat or combine it with honey liqueur in a Kentucky coffee cocktail. Brandy and coffee are another match made in heaven. Stir in sugar and top with heavy cream, if desired, for a Coffee Royale cocktail. Chambord is labeled as a black raspberry liqueur, but this French spirit incorporates a lot of fruit flavors that marry well with coffee: blackberries, black and red raspberries, and black currants. It also contains Cognac and vanilla to round out the experience. Aquavit is a Scandinavian spirit with a variety of herbal notes, especially caraway and dill. Kaffepunch is a very strong drink made in Denmark in which coffee plays second fiddle to the booze. A coin is placed in the bottom of a glass, and only enough coffee is poured to cover the coin. Then aquavit is added until the coffee has been diluted enough so the coin is visible again. If you think more bitter is better, try some Fernet-Branca in your strongest cup of coffee. Fernet-Branca is a brand of highly flavorful, bittersweet liqueur called an amaro, which is Italian for the word bitter. Drink it black if you dare or add sugar and milk for a milder concoction.